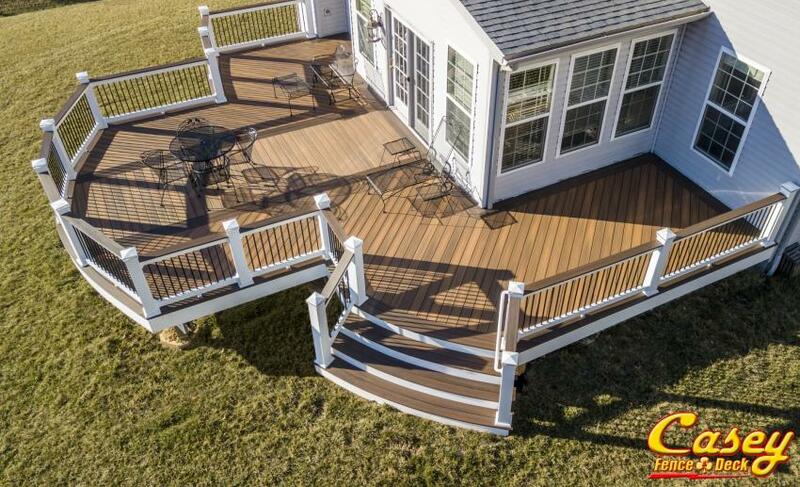 Nationally recognized for our "Pride in Crafstmanship"
Casey Fence and Deck is a Nationally Recognized Deck and Fence Company who has won multiple National Awards as a Deck and Fence Builder serving the Frederick Maryland area. Our company is proud to be a Maryland Deck Builder that is rated Top in the Nation. As an American Deck and Patio Company specializing in Unique Outdoor Living Space, we work with you to design and build a customized Maintenance Free Deck. • Call for our vast array of aluminum, vinyl and wood porch railings. • Select from any number of our multiple options of Low voltage LED riser, post, side, cap, flush mount, recessed and landscape lights from manufactures like i-lighting, LMT, Aurora and more. We have the lights to enhance your outdoor living pleasure. This site is filled with galleries containing unique examples of the quality products turned out by Casey Fence and Deck. As you will clearly see, we take great pride in the beauty of all our quality projects, large and small. Our decks have been selected to adorn the covers of major manufacturers catalogs and packages. In every photograph you view, each project was designed, created and fulfilled by Casey Fence & Deck. Please sit back, relax and enjoy your visual journey with the same pleasure we have had in presenting it. You can check out some of the deck projects we have completed in Frederick Maryland and surrounding areas here. If you have any questions about what you see, or don't see, or would like to schedule a free personal in-home consultation with our construction expert, please contact us at: 301-213-2966, e-mail us at: Brendan@caseyfenceanddeck.com or use our contact form. We offer a 5 year structural warranty on our decks. All of our composite decks come with a manufacturer backed 25 year warranty against stain and fade. Our Fiberon decks come with a 5 year Fiberon labor warranty.